If you haven’t gotten your tree trimmed yet for Christmas, this is the weekend to get your greenery in gear! 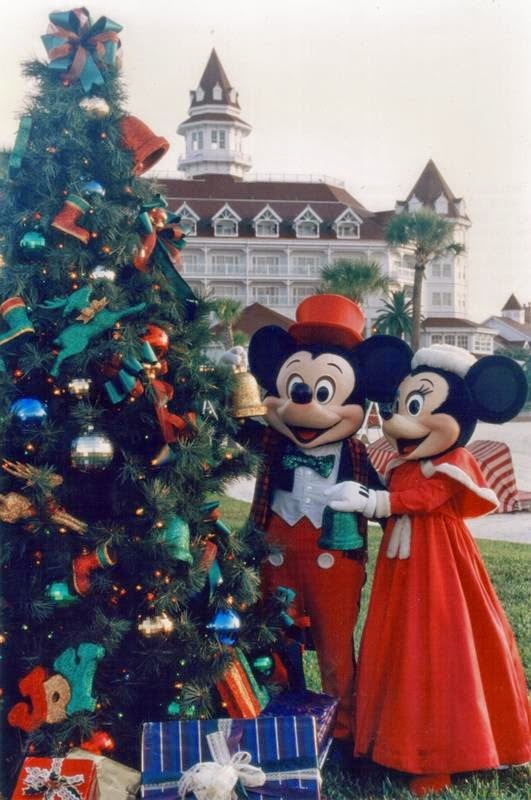 To help motivate your decorative spirit, here’s a look at Minnie and Mickey in their finest Grand Floridian Christmas attire. They’re decking the tree with only the best ornaments from 1992! HOLIDAY DECORATIONS ALL IN PLACE – Mickey Mouse and Minnie Mouse make sure everything is set for a spectacular Christmas celebration at Disney’s Grand Floridian Beach Resort. Holiday merriment is provided in the hotel’s lobby each evening by the Grand Floridian Society Orchestra. Hotels throughout Walt Disney World Resort feature special Yuletide decorations, entertainment and theming for a memorable visit during the holiday season.